Looking for the perfect finishing touch? A black granite laminate worktop upstand is an attractive accessory for matching countertops, creating a smooth and hygienic join between your countertop and kitchen wall. Made from the same materials as our laminate worktops, these granite effect kitchen upstands combine high-quality composite fibreboard with a decorative laminate wrap. The two elements are then sealed together using high heat and pressure to create a smooth and durable wearing finish. 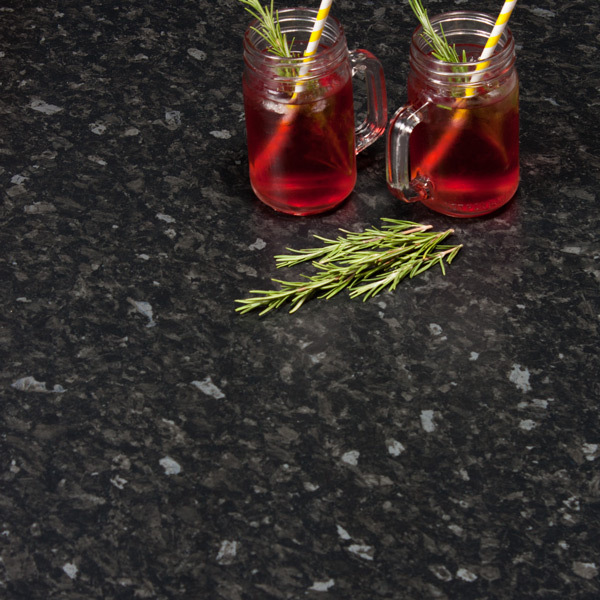 These laminate upstands contain small grey flecks to imitate the attractive look of granite. Black Nimbus upstands are an elegant addition to any kitchen, and make a stylish alternative to splashbacks and tiling.